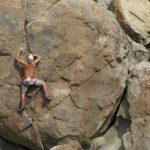 Learn all the secrets of rock climbing in this introductory course suitable for beginners in Cerdanya. Xavi, a Catalan IFMGA guide, will be your instructor in this 2-day learning trip. Do you want to take your first steps in the world of rock climbing? So join me on this introductory curse! Let me teach you all the basic techniques to climb vertical walls safely. Therefore, I have planned this 2-day rock climbing course in Cerdanya. During this program you will learn all the secrets to climb rocky routes with autonomy. And if you enjoy outdoor activities in the Pyrenees, let me also offer you this Via Ferrata trip in Andorra for all levels. 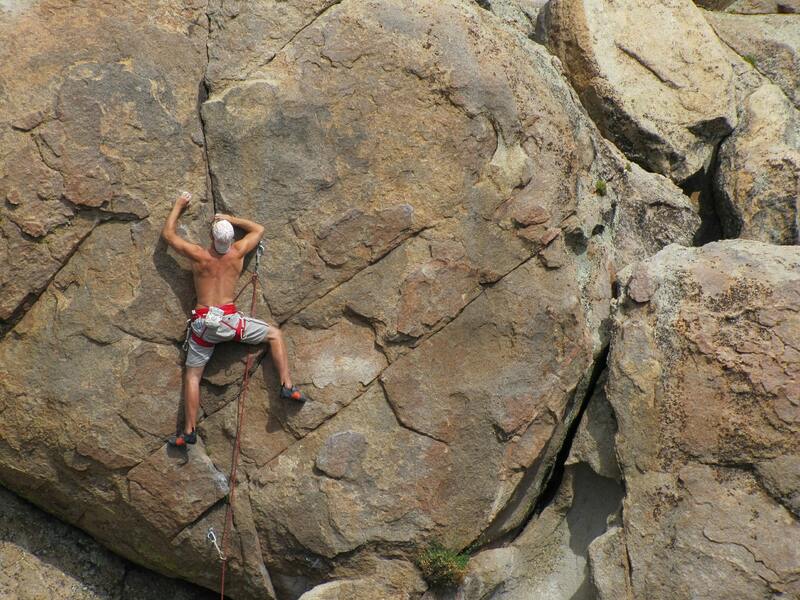 So, come to the Cerdanya region and venture into rock climbing! I will be happy to be your guide and instructor. Contact me now and book your place! Price includes the comon equipment and the mandatory insurance. Xavi (Terrassa, Catalonia, 1963). Actually I’m living in Prullans. During several years I have been practicing my two big passions, mountaineering and photography as hobbies. Actually I’m a High Mountain Guide and photographer in outdoor BTT races, mountaineering marathons or climbing competitions. In 1982 I did became a member of Servei General d'Informació de Muntanya, a specialized mountain library. And from 1998 I’m working as High Mountain Guide for NKBV (Alpine dutch team). After working 6 winters as a lifeguard patrol in a Catalan ski resort, I spent a few seasons of the southern summer working as a High Mountain Guide for Azimut 360 and Chilemontaña, two agencies located in Chile, leading clients through the Patagonia and into America's highest peak, the Aconcagua. Since 2005 I lead my own clients around the world as a freelancer Mountain Guide. From September 2007 I manage the Companhia de Guies de Montanha web, bound to Carros de Foc. 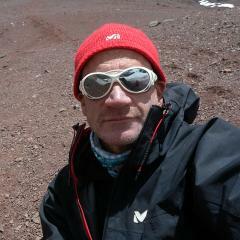 I have take part in many expeditions to Andes in South America and Himalaya, Karakorum and Hindu Kush in Asia. I’ll like to show you “my” mountains, “my” Pyrenees and of course, other mountains around the world. I’ll like to guide you till de top of Aconcagua, Ararat, skiing down from Elbrus, or Kola’s peninsula in Russia. I propose here few activities, but not all what I can show you! Contact with me and go together to your dream!